The new plug-and-play thermo module eases driveline electrification and addresses both traditional commercial vehicle manufacturers and industry start-ups with lean development facilities. As a complete package, it can be integrated into both new and existing vehicle platforms while also being suitable for customer-specific applications, thus supporting each individual vehicle configuration. The thermo module is made up of a heat pump and periphery of proven Pierburg components such as solenoid valves and pumps. 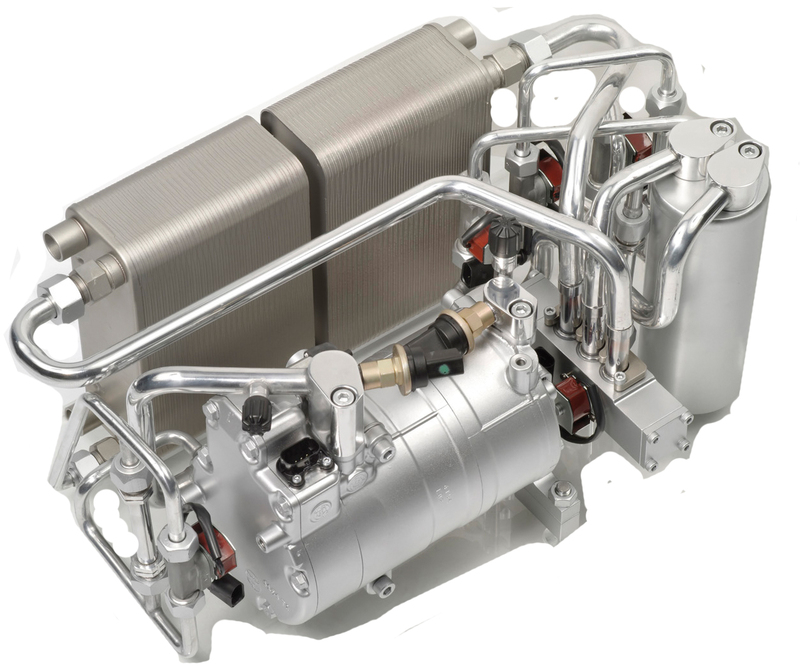 As a proactive thermal management unit for the entire vehicle it performs such essential functions as precise temperature control for the battery and power electronics (cooling/heating) through a connected coolant circuit of water and glycol. The module also takes care of interior air conditioning and temperature control for the electric driveline components, including the electric motor. Especially in the commercial segment, efficient thermal management increases the range and longevity of electrified vehicles, thus substantially prolonging periods between recharging. This is the critical factor in their economically efficient emission-free use on urban distribution routes (last-mile vehicles) and on public transport service. 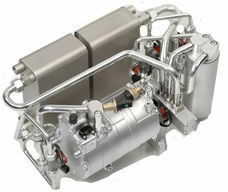 Even in construction equipment, such electrification and hence the necessary thermal management are conceivable options since the electric versions generate significantly less noise when operating.